Which Cars Will Give Stiff Competition To The Honda Civic In India? You Can Now Go for Hyundai Cars on Subscription Basis! 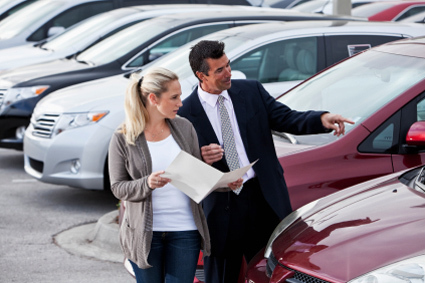 It is much easier now to sell your used cars quickly. You can easily trust an online portal that makes all the procedure of selling so easy for you. The online portals can even maximise your sale price very efficiently in the shortest period of time with simply emails, calls, messages or you may submit your car details online and receive a genuine profitable offer within hours. This is really easy now. The dealers or the portal owners are connected with car dealers who are real serious about buying your car. Your car with all the details will be offered to dealers who specialise in the retail sale of your specific car type. So you can be enough confident that every offer is genuine. The dealers compete to buy your car which in return ensures that you get the best possible price. The experts make it more easier for you without the need for you to drive around the city for the best trade-in or sale price of your used car. They make the process for you real quick and simple that are managed by experienced industry experts. Experts now eliminates all the hassle of payment leaving you with one of the safest and most secure ways to sell your car. Nowadays, on spot payment is also a trend. You do not have to wait for weeks to get paid for your car. You are paid straight on the spot of sale. You get a huge range of brands to choose from. Selling Mahindra Cars is much easier in the market. Few details must be notified that includes your city, budget, usage and number of years. Mahindra and Mahindra is an Indian automobile manufacturer having its headquarters in Mumbai. Mahindra cars have earned a lot of praise and attention from all the customers. Mahindra XUV500 and Mahindra Thar have been selling high in the automobile market. With a very impressive after sales service, Mahindra has been able to create a strong footprint in the market. Thus, when you own a Mahindra car it is much easier for you to upgrade or sell your used car with a good resale value. Mahindra also offers you tried and tested unique process which guarantees you the best price for your used Mahindra car that too in 30 minutes. It offers you free professional inspection of your used Mahindra car and also you earn free benefits worth thousands. Mahindra also offers it’s customers with free documentation and RC transfer along with a ride back home cab all paid by the company and a referral bonus of INR 5000 if your closed ones sell their car. Get the Mahindra First Choice advantage! Sell Your Car in just 3 Easy Steps! Ford EcoSport or Renault Duster- Which Used Car You Should Buy? Should You Buy A Used Honda Jazz? How Safe are Hyundai Cars? Toyota Camry- Top 10 features to Wow You!